The Ruger® MKIV™ 22/45™ pistol is quickly becoming a favorite for Rimfire Challenge and Steel Challenge competitions and other shooting sports. For a competition-ready race gun, enhanced Ruger® MKIV 22/45 grips are key. 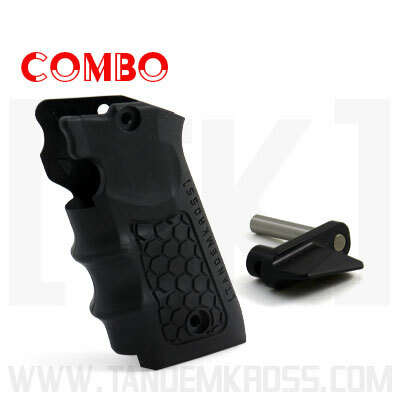 The new TANDEMKROSS “hiveGrips” for Ruger® MKIV™ 22/45™ is the answer to your MKIV™ grip needs! 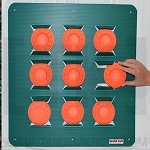 Designed specifically with competitive shooters in mind, these flexible, yet durable rubber grips feature an aggressively textured surface for the ultimate purchase and control. 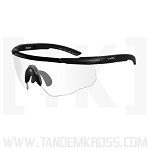 Defined, ergonomic finger grooves improve hand placement for more accurate, controlled shooting, while the slim, low-profile design ensures an ideal fit for any user. Made from patented impact- and vibration-dampening material, Ruger® MKIV™ 22/45™ "hiveGrips" are an ideal upgrade for any shooting sports competitor. Whether you’re a competitive shooter working to improve your speed and accuracy or a weekend plinker looking for better control over your pistol, a strong, proper grip is key. 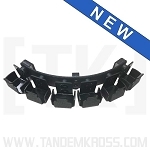 The new "Cornerstone" Safety Thumb Ledge from TANDEMKROSS is the ideal upgrade to boost your control! 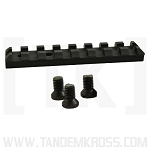 The oversized, 1911-style safety ledge, made from anodized aluminum, enhances the external factory safety, without modifying the internals of the safety mechanism. 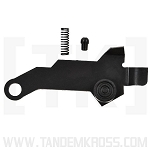 This drop-in part is easy to install and does not change the internal components of the gun. Installation of the "Cornerstone" MKIV™ 22/45™ safety ledge is also a great opportunity to remove the factory ambidextrous safety, which can pinch some users' fingers while shooting. The Ruger® MKIV™ 22/45™ aluminum safety ledge offers an ideal thumb placement for a secure grip and provides consistent hand positioning and helps to control muzzle flip. 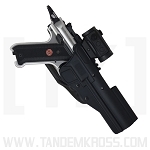 This is one of the best Ruger® MKIV™ 22/45™ accessories for competition shooters. 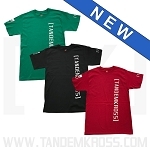 Get your "Cornerstone" today and lay the foundation for a better grip! Please note: The "Cornerstone" installation utilizes a factory spacer included in your original box. This part is referenced on Page 23 of the original Ruger® manual. 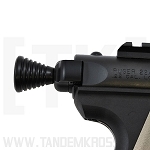 If you cannot located this spacer, please contact TANDEMKROSS or Ruger® and we can assist you with locating one.